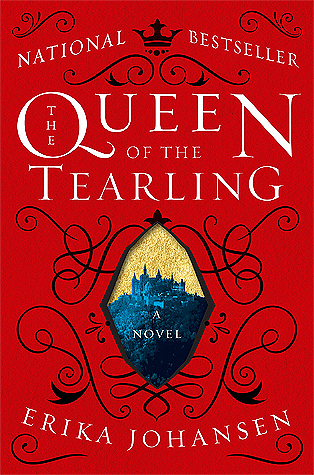 I was confused when I started reading The Queen of the Tearling, but it turned out to be an intense and super enjoyable read. I give The Queen of the Tearling by Erika Johansen four out of five hearts because it was intriguing and fast-paced. I really wanted to know what was going to happen to Kelsea. This book has been on my TBR ever since it was released, but everyone was hyping over it and I worried that it wouldn’t live up to it. I didn’t want to have a disappointing read. Now that the hype has completely died I picked it up to read for my N.E.W.T.s Read-a-thon and I really liked it. The plot was a basic one, but Erika made it work really well for her. It didn’t have much bells and whistles, but that made it actually very intriguing. I can’t wait to read the next book in the series to see where it will go and if it will still stay this simple. Kelsea is strong and smart. She is not the hidden princess that grows up without knowing anything and thrown into this life. She knows she has to fight to get to her kingdom and she is willing to do whatever it takes. The side characters are fun too, they are very loyal to this girl that they have never met and it just works. Overall I think The Queen of the Tearling is a great read. I will try and read The Invasion of the Tearling soon and hope to post the review next week. This entry was posted in Book Review and tagged Adventure, Book Review, Drama, Dystopia, Erika Johansen, Fantasy, Mystery. Bookmark the permalink.